On this December 31, I'm happy to report that Tomo: Friendship Through Fiction--An Anthology of Japan Teen Stories published in 2011 by Stone Bridge Press continues to raise funds for teens in Tohoku areas affected by the 2011 earthquake and tsunami. Nearly seven years after publication, funds are still generated by this anthology that I compiled and edited in the months soon after the disaster. This month Tomo's publisher Peter Goodman of Stone Bridge Press made a donation of $683.09 USD (76,770 JPY) to the NPO TEDIC. 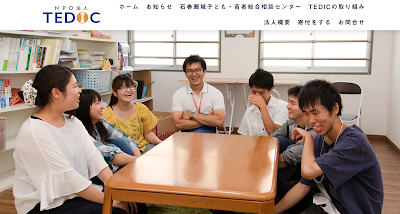 Based in Ishinomaki in Miyagi Prefecture, TEDIC provides support and counseling for youth, including those struggling with poverty, neglect, abuse, disability, truancy, illness, and social withdrawal. And today I made a donation of 100,000 JPY ($905.00 USD) to the NPO Sokoage ソコアゲ (to which Tomo funds were also donated in 2017). You can donate via their website or via this Yahoo! Japan Sokoage Fundraiser. Sokoage (底上げ means "raising up") is based in Kesennuma, also in Miyagi Prefecture. This NPO engages high school students in community building and problem solving by encouraging them to take initiative to become changemakers and by supporting their projects to create a vibrant society. Projects have included the creation of a gathering space near the high school for students and Sokoage staff members; holding monthly community meal events with guest speakers; guiding students in getting to know their community, as well as creating materials to promote the region and record experiences of 3/11; providing volunteer academic support in temporary housing sites and elsewhere; encouraging students who have graduated from high school to stay involved in Kesennuma issues and events; and holding supportive training camps for college students. I wish everyone sweet hatsuyume dreams of eggplants, hawks and Mt. Fuji (all considered auspicious if sighted in dreams on January 1) and hope that the New Year brings peace and joy and the promise of bright futures to young people throughout the Tohoku region. Six years ago, in 2012, the Tomo: Friendship Through Fiction anthology was going to press. 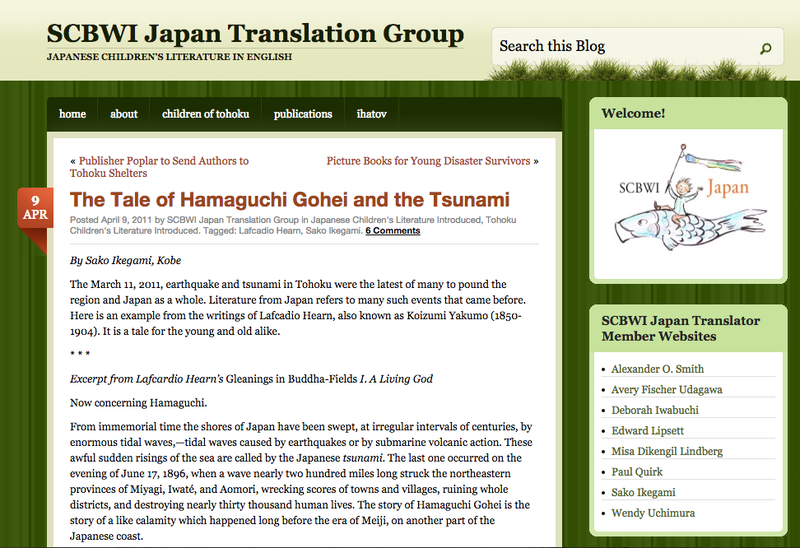 In a period of just ten months from the March 11, 2011, Great East Japan Earthquake and Tsunami, I had proposed the anthology, Stone Bridge Press had agreed to publish, and I'd selected, compiled and edited the 36 stories, plus conducted interviews with most of the author illustrator and translator contributors. The aim of the Tomo anthology was to raise awareness outside of Japan about the need for longterm support for coastal communities in the Tohoku region by sharing Japan-related fiction for teens, and, most critically, to provide funding to NPOs serving teens in the hardest hit communities of Tohoku. Until 2017, Tomo proceeds went to the NPO Hope for Tomorrow Japan, which in addition to providing educational expenses (including university entrance exam fees, travel costs to exam centers, etc.) also provided mentoring, tutoring, and foreign language support to high school students in hard-hit areas of Tohoku. But in 2017, the NPO Hope for Tomorrow closed its doors after its planned five years of supporting teen education in Tohoku. Now, although Tomo is no longer available in print, the Kindle edition is still available for purchase, and sales of Tomo still generate small sums of money for donations. Recently, additional funds were generated through adoption of Tomo material via the international Copyright Clearance Center for educational purposes. So in 2017, I set out to find other NPOs to receive Tomo donations. 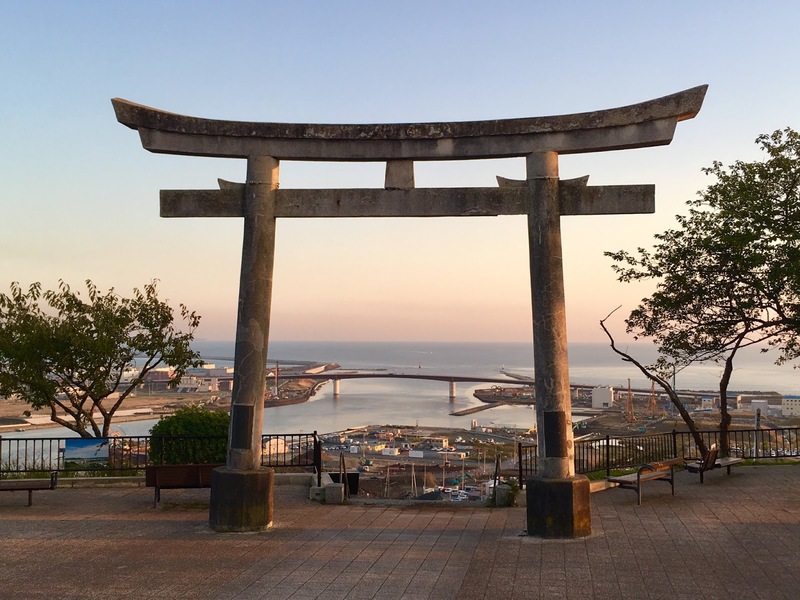 In late October, I drove north to Tohoku to visit the cities of Ishinomaki and Kesennuma in coastal Miyagi Prefecture, and Rikuzentakata in Iwate Prefecture. My aim was to revisit some of the areas severely ravaged by the March 11, 2011 Great Eastern Japan Earthquake and Tsunami. Such a trip is haunting, moving and painful, yet at the same time, energizing and inspiring. Signs of loss and devastation are evident in the violently scarred coast, in elevation markers for inundation levels even high in the hills, in remaining ruined structures and temporary housing, and in the massive seawalls and ambitious city reconstruction projects underway. 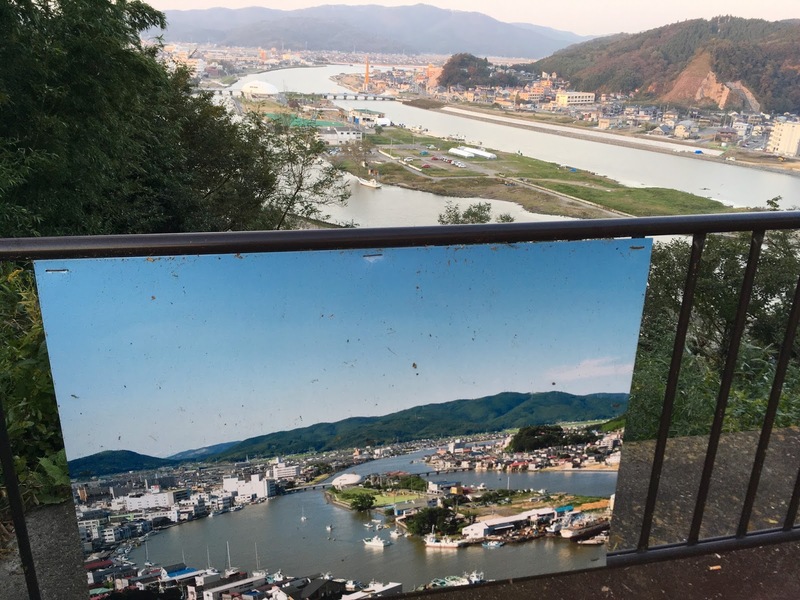 The reach of the monstrous tsunami left cruel before-and-after, have-and-have-not markers throughout communities up and down the jagged coast. People are left coping with unspeakable trauma. Yet there is evidence of brave determination among so many citizens to nurture their communities into wellness and vibrancy, to take actions toward healing, remembering, learning and growing. In Ishinomaki downtown streets, where in the spring of 2011 (see my Peace Boat blog posts) I'd shoveled tsunami muck out of surviving shops, businesses and homes, a lively downtown is now evidenced with new and revived stores, restaurants, and community initiatives. Practically across the street from a soba shop I'd helped muck out in 2011, is the new Penguins Art Kōbō, a studio where everyone is welcome to create, and there I joined a morning clay workshop. In the Ibarazu neighborhood where I'd helped gather tons of rotting fish that had been strewn with wreckage far inland from the destroyed fish market, new parks and houses had sprouted. The pristeen new Ishinomaki fish market (Ishinomaki uoichiba) nearby is now the largest in Japan and visitors are welcome. I ate an incredible sushi lunch at Fukizushi (富喜寿司) near Ishinomaki Station. I made new, dear friends in Ishinomaki, and I dined and stayed at the NPO-run Long Beach House not far from Ibarazu. 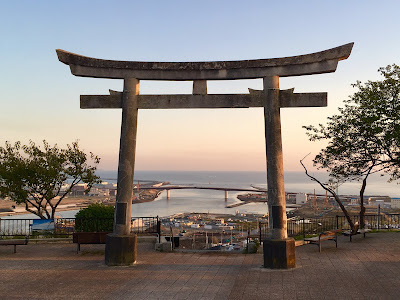 In Oginohama, where in 2011, I'd helped clean the Inari shrine grounds and assist with myriad tasks for a late summer festival, a new café sits opposite the sea below the torī leading to the steep set of stairs up to the hilltop shrine. 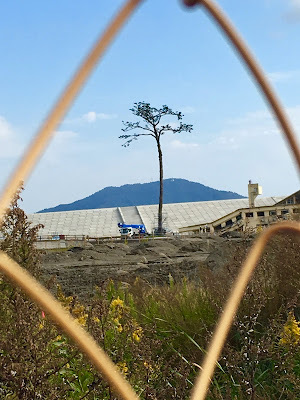 In Rikuzentakata, I paid a visit to the Miracle Pine. I watched the constant, mind-numbing parade of construction vehicles essentially reshaping the land into a new elevated city. 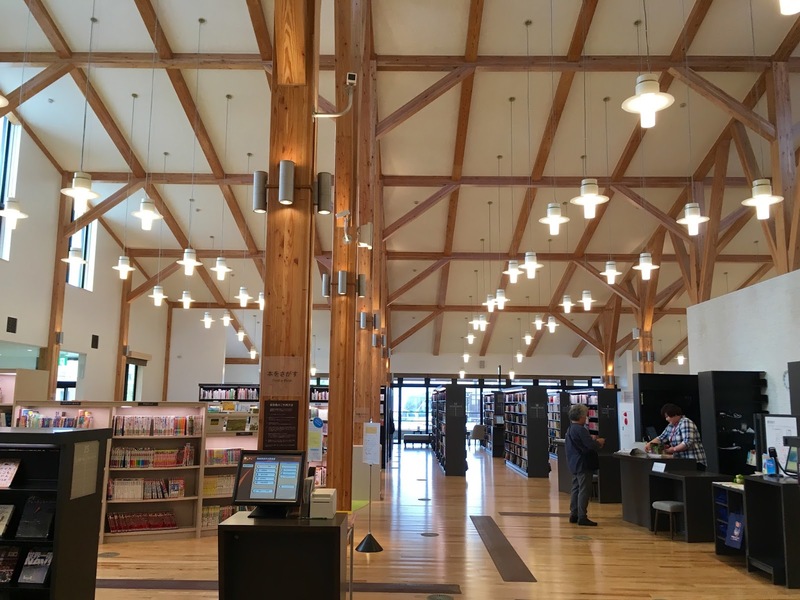 I also spent time in the children's section of Rikuzentakata's beautiful new library in the Abasse Shopping Center high up on raised ground. And in Kesennuma I visited the Rias Ark Museum of Art for its contemporary art and local history exhibits, as well as the exhibits relating to the 2011 earthquake and tsunami and tsunami history in Tohoku. My Tohoku visit led to more questions, more explorations and more NPO discoveries. And now, at the start of 2018, I'm proud to share with you two NPOs that I have selected to receive Tomo funds. In December 2017, a donation of 100,000 JPY (about 900 USD) was made to the NPO Sokoage, based in Kesennuma City in Miyagi Prefecture. Sokoage (底上げ) meaning "raising up" engages high school students in community building and problem solving by encouraging students to take initiative to become thoughtful changemakers and by supporting their projects to create a vibrant new society. Projects have included the creation of a meeting and gathering space near the high school for students and Sokoage staff members; holding monthly community meal events with guest speakers; guiding students in getting to know their community, as well as creating materials to promote the region and record experiences of 3/11; providing volunteer academic support in temporary housing sites and elsewhere; encouraging students who have graduated from high school to stay involved in Kesennuma issues and events; holding supportive training camps for college students. And in early January 2018, a donation of 30,000 JPY (about 270 USD) was made to the NPO Penguins Art Kōbō (ペンギンズアート工房), based in Ishinomaki, Miyagi Prefecture. 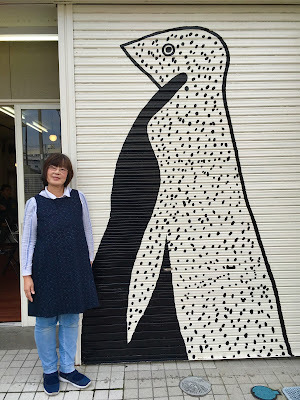 Penguins Art Kōbō is housed in an Ishinomaki downtown studio with a charming penguin logo on the shop shutter. 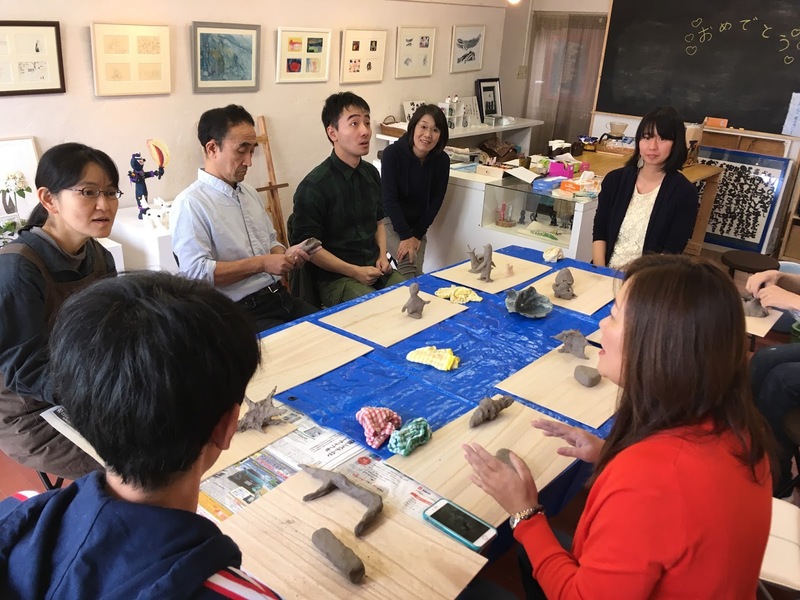 Penguins Art aims to foster artistic expression in differently abled children, to create exhibition opportunities for them, and to enable group art experiences for all individuals in greater Ishinomaki. Established by former art teacher Kazuko Miyakawa, Penguins Art Kobo is a warm, supportive and welcoming oasis for everyone to explore creative expression. I hope you'll visit the websites of these NPOs now receiving Tomo support. Thank you to all of the Tomo contributors and friends, wherever you may be. May the Tomo anthology continue to create friendships through fiction as together we strive to support teens in Tohoku, Japan. Today marked the sixth anniversary of the Great East Japan Earthquake (東日本大震災 Higashi nihon daishinsai), and the subsequent tsunami that ravaged the Tohoku region's Pacific coastline followed by the triple meltdown of the Fukushima No. 1 nuclear power plant. Throughout Japan, a moment of silence was held today at 2:46 pm, the time the quake struck on March 11, 2011. This month also marks five years since the publication of Tomo: Friendship Through Fiction--An Anthology of Japan Teen Stories. Proceeds from sales of Tomo have for five years been donated to the Japan-based NPO Hope for Tomorrow (hope-tomorrow.jp). Hope for Tomorrow has for five years provided much-needed support to high school students in the form of financial assistance to enable students in the hardest hit areas of Tohoku to take costly university entrance exams. Having succeeded at what they set out to do, Hope for Tomorrow will cease operations at the end of this Japanese academic year (at the end of this month). Thank you to Hope for Tomorrow for providing a unique form of support to high school students in Tohoku during the most difficult years after 3/11. 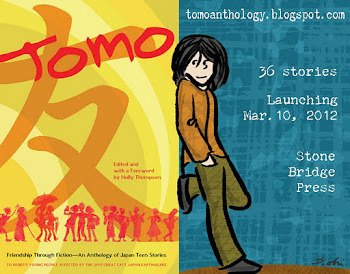 The Tomo anthology has recently gone out of print, but the book is still available as an ebook in Kindle format. Future proceeds will be donated to other organizations that support youth in the areas of Tohoku still struggling six years after. 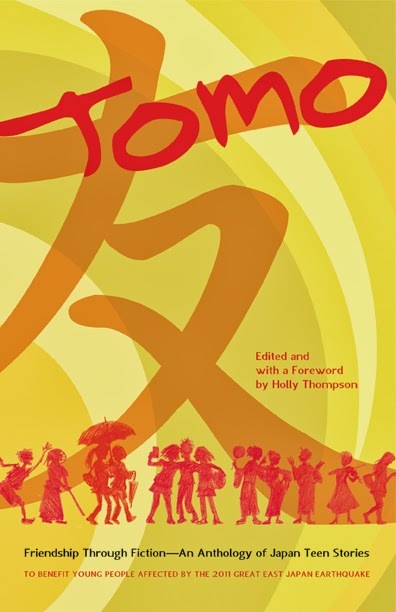 Please continue to read, give and recommend The Tomo Anthology--a collection of 36 stories including 10 in translation--so that we may continue to offer our friendship and support to teens in Tohoku. 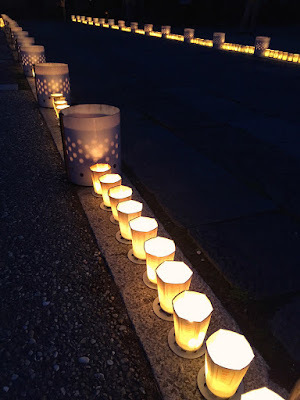 May we remember that many thousands in Tohoku are still displaced, that reconstruction and the delicate work of rebuilding lives continues, and that many thousands still reside in prefab "temporary" housing in Fukushima, Miyagi and Iwate--the three hardest hit prefectures. Wishing peace to all on this anniversary day. Today is the fifth anniversary of the Great East Japan Earthquake (東日本大震災 Higashi nihon daishinsai ) on March 11, 2011. Tomo: Friendship Through Fiction--An Anthology of Japan Teen Stories (Stone Bridge Press) continues to raise money by donating royalties from sales of the book. The 2015 Educational Support Program will be allocated to the following five high schools:Haramachi High School (Minami Soma City, Fukushima Prefecture), Ishinomaki High School (Ishinomaki City, Miyagi Prefecture), Kesennuma High School (Kesennuma City, Miyagi Prefecture), Ofunato High School (Ofunato City, Iwate Prefecture) Takata Senior High School (Rikuzentakada City, Iwate Prefecture; temporarily located in Ofunato City). Individual recipients are selected through their schools, and grants are awarded to students each February. Five years have passed since the earthquake--both quickly and slowly. Recovery proceeds in Tohoku, but problems abound, and of course, after trauma of such magnitude, grief and pain are ongoing. In Japan, it is customary to keep true feelings to yourself, to mute your complaints, to suffer in silence. 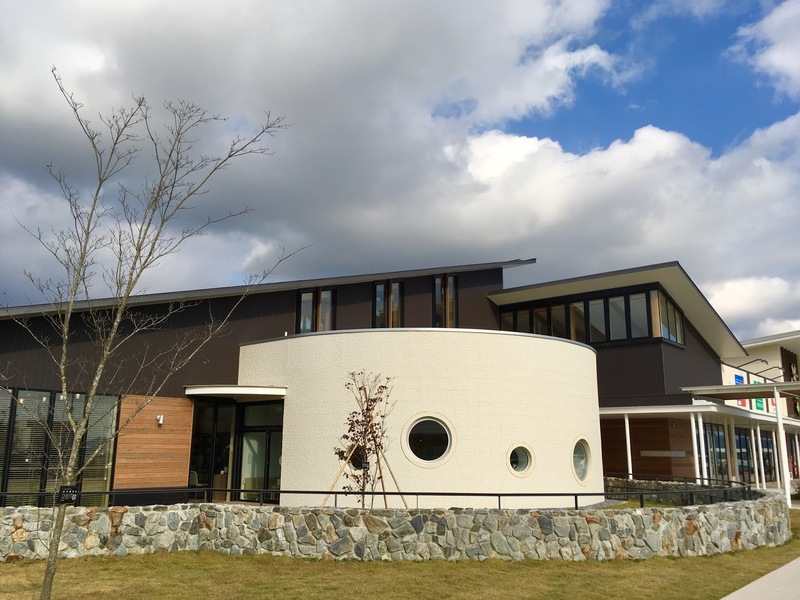 After the tsunami, a homeowner in the town of Otsuchi in Iwachi Prefecture wisely set up a telephone booth in his garden, placed a disconnected rotary dial phone inside, and invited people to step inside and speak to the loved ones they'd lost in the disaster. Called the kaze no denwa (風の電話) -- wind phone -- the booth has drawn over 10,000 visitors (see a reblogged version of a Mainichi Daily article here and NHK coverage in Japanese here). NHK recently featured a poignant documentary (trailer) on the phone and its power to enable individuals to speak words of deep pain. One segment featured a family of a mother and her three children who'd lost their father with all of them visiting the wind phone after the eldest child bravely did so. Yoko Imoto has written and illustrated a children's picture book called Kaze no denwa (The Wind Telephone). 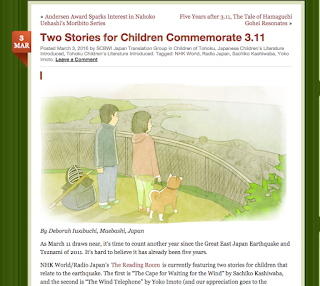 This book and one other are featured on the SCBWI Japan Translation Group Blog: Two Stories for Children Commemorate 3.11 in a post by Deborah Iwabuchi (translator of the Tomo story "The Law of Gravity" by Yuko Katakawa) with links to English-language readings. 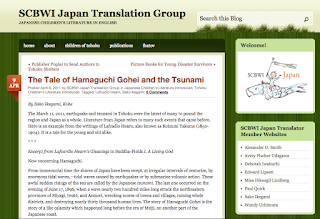 For readers of all ages, today is a also good day to re-read the SCBWI Japan Translation Group post by Sako Ikegami (translator of the Tomo story "Hachiro" by Ryusuke Saito): The Tale of Hamaguchi Gohei and the Tsunami. 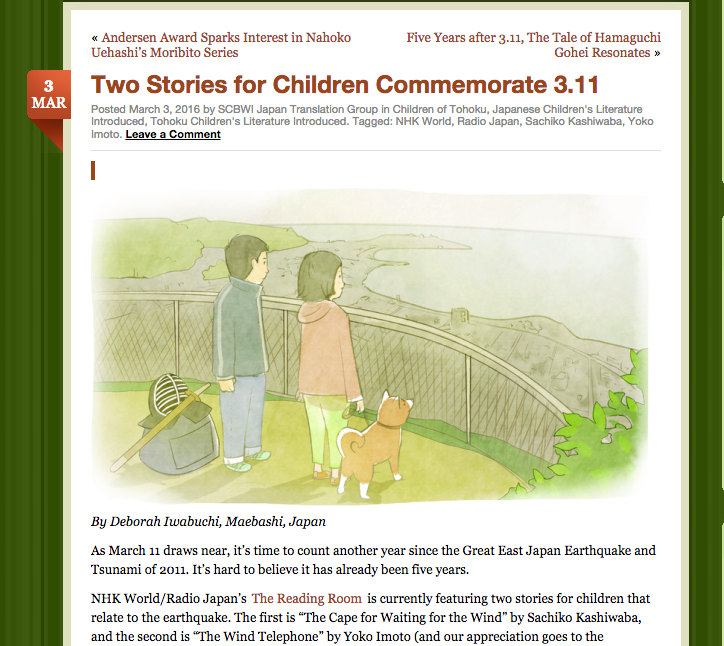 Kimiko Kajikawa's picture book Tsunami, written before 3/11, is based on the same tale. Wishing compassion and the comfort of words and stories to all those affected by the disasters of March 11, 2011. All proceeeds from sales of the book Tomo: Friendship Through Fiction--An Anthology of Japan Teen Stories are donated to support teens in the 3/11 tsunami- and earthquake-affected areas of Tohoku. Recently another 20,000 yen was donated to the Japanese NPO Hope for Tomorrow, which is providing educational support grants to high school students in the three hardest hit prefectures of Fukushima, Miyagi, and Iwate. Thank you to our publisher, Stone Bridge Press, and to everyone who continues to purchase copies of Tomo either in print or as an ebook. 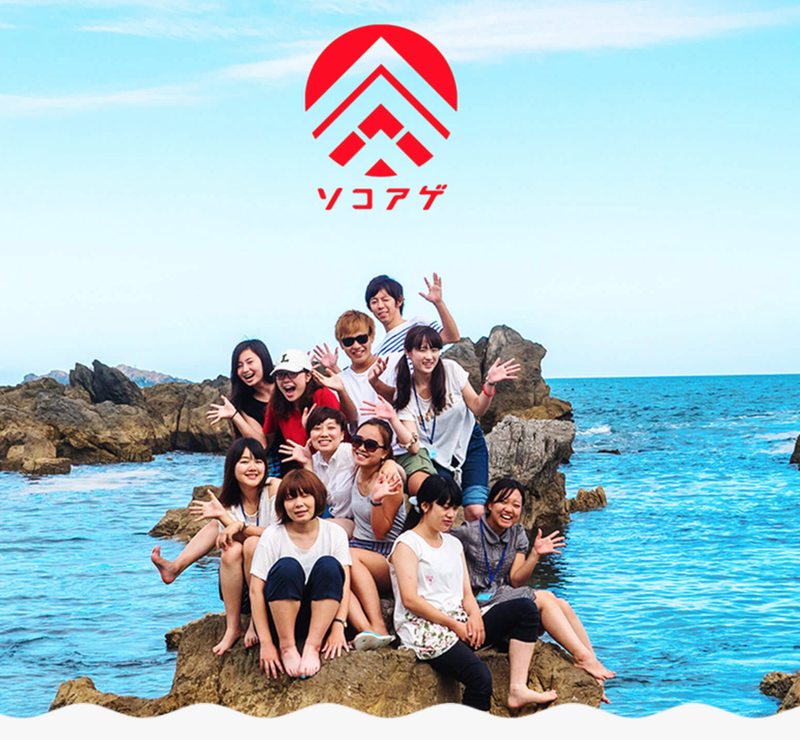 Your purchase does make a difference to teens in Tohoku. We hope that the stories in Tomo offer windows and mirrors to our many readers. Today, March 11, 2015, marks the four-year anniversary of 3/11, the date of the massive earthquake and tsunami that caused tremendous devastation in northern Japan, particularly in Tohoku. 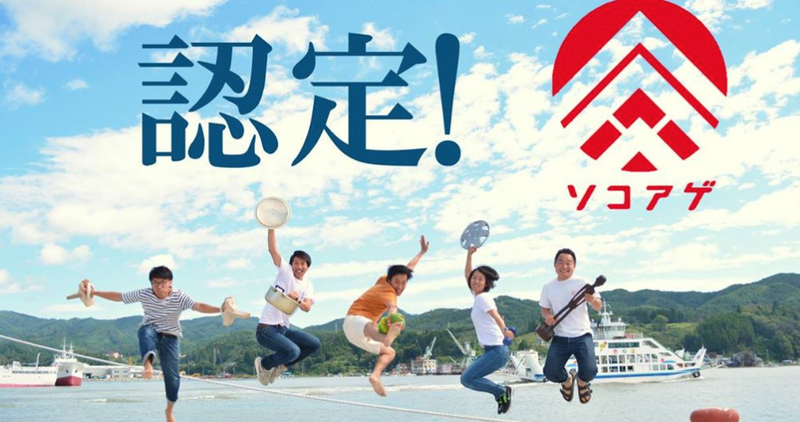 There is still much struggle and hardship in the region, and Tomo has continued to support teens in Tohoku through the NPO Hope for Tomorrow. Have you read the 36 stories in the Tomo: Friendship Through Fiction anthology? On this Tomo Anthology blog is an extensive Readers' Guide to the anthology, as well as many, in-depth interviews featuring author and translator contributors. Wishing all in Tohoku love and wellness--from the Tomo Anthology community of authors, translators, illustrators and the generous publisher Peter Goodman of Stone Bridge Press. Soon the four-year anniversary of the March 11, 2011 Great Eastern Japan Tsunami and Earthquake will be upon us. Sales of Tomo: Friendship Through Fiction--An Anthology of Japan Teen Stories published by Stone Bridge Press continue to support teens in the tsunami and quake affected areas--teens impacted by the Tohoku Triple Disaster--via the NPO Hope for Tomorrow. The Tomo: Friendship Through Fiction Reader's Guide continues to provide guidance for book groups, teachers and students, and is supported by the many in-depth contributor interviews featured on this blog. This month Asia-Pacific Journal (Vol. 13, Issue 6) focuses on artistic and activist responses to the 3/11 disaster. In addition to the extensive coverage in The Asia-Pacific Journal: Japan Focus, see, inter alia, Jeff Kingston, ed., Tsunami: Japan’s Post-Fukushima Future, Foreign Policy Magazine, Washington D.C., 2011; Jeff Kingston, ed., Natural Disaster and Nuclear Crisis in Japan: Response and Recovery after Japan’s 3/11, Routledge, Oxford, 2012; Holly Thompson, ed., Tomo: Friendship through Fiction: An Anthology of Japan Teen Stories, Stone Bridge Press, Berkeley; David Karashima and Elmer Luke, eds, March was Made of Yarn: Reflections on Japan’s Earthquake, Tsunami and Nuclear Meltdown, Vintage, New York, 2012; Lucy Birmingham and David McNeill, eds, Strong in the Rain: Surviving Japan’s Earthquake, Tsunami and Fukushima Nuclear Disaster, Palgrave Macmillan, London, 2012; Mark Willacy, Fukushima: Japan’s Tsunami and the Inside Story of the Nuclear Meltdown, Pan Macmillan Australia, Sydney, 2013; Hiroshima City University 3/11 Forum, Japan’s 3/11 Disaster as Seen From Hiroshima: A Multidisciplinary Approach, Sanseidō, Tokyo, 2013; Roy Starrs, ed., When the Tsunami Came to Shore: Culture and Disaster in Japan, Global Oriental, Leiden, 2014; and Japan Forum, Vol. 26, No 3, 2014. 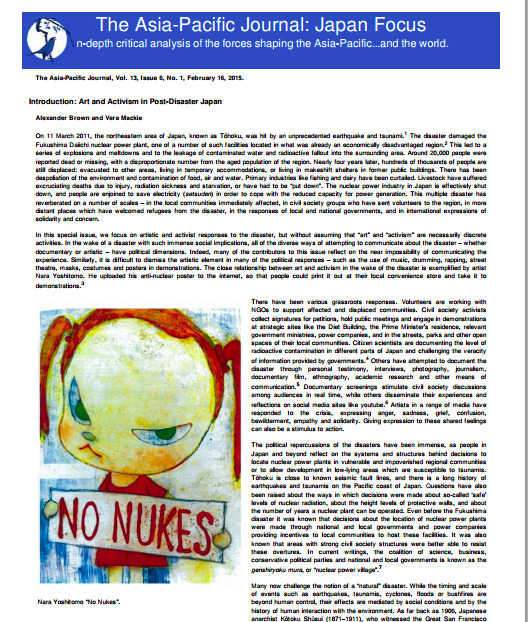 In this Asia-Pacific Journal focus, there are eight articles in addition to the introductory piece, all tackling some aspect of artistic and activist response to the 3/11 disasters. The series makes for important reading regarding the profound effect of the tsunami, earthquake and nuclear disaster on the lives of people in Tohoku and throughout Japan. May we never forget. 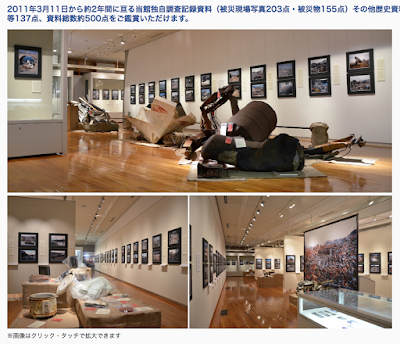 March 11, 2014 marked the three-year anniversary of the Great East Japan Earthquake and Tsunami. Recently the 2013 earnings from sales of Tomo: Friendship Through Fiction plus the Stone Bridge Press publisher donation--a total of 50,000 yen--was transferred to the Japan-based NPO Hope for Tomorrow. 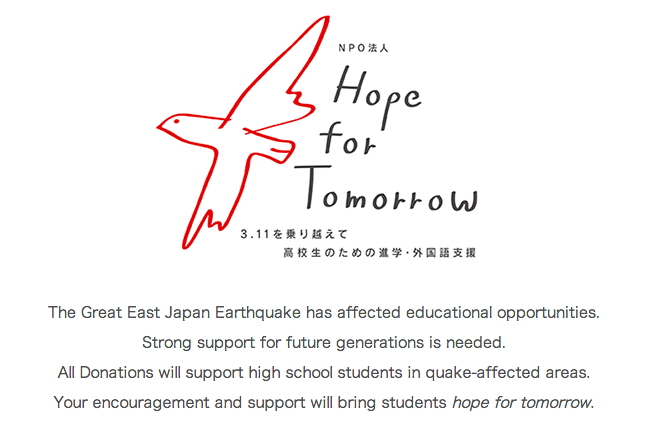 Hope for Tomorrow continues to provide meaningful much-needed support to teens in the quake and tsunami affected areas of Tohoku in northern Japan. Your purchase of Tomo: Friendship Through Fiction--An Anthology of Japan Teen Stories really does make a difference to teens in Tohoku. Consider donating a copy of Tomo to your school or town library, suggesting it to book groups, and purchasing copies as gifts. See Hope for Tomorrow's website to learn about this small NPO with a big heart and their commitment to longterm education-focused aid for young people in Tohoku. 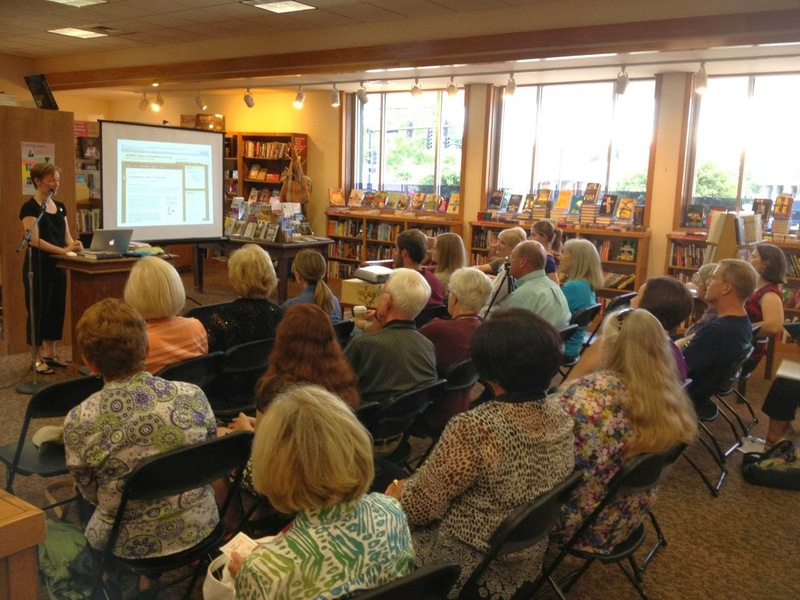 This summer Tomo: Friendship Through Fiction was featured in Wichita, Kansas. This summer, the Wichita Eagle newspaper listed Tomo as one of the top-selling titles at Watermark Books and Cafe, a local independent bookstore. Watermark’s majority owner Sarah Bagby has spoken on behalf of indies to the New York Times, and Newbery Award-winning author Clare Vanderpool thanks the store in her latest title Navigating Early. How did Tomo end up at Watermark? I had the pleasure to speak there in mid-July about translating J-Boys, a novel by Tomo contributor Shogo Oketani, and “House of Trust,” the short story by Sachiko Kashiwaba that appears in Tomo. My Kansas-based family drummed up a terrific crowd of listeners, and Watermark boosted inventory and included Tomo in its media offerings. It was amazing to see Watermark support a talk on translation and an anthology focused on Japan. I am grateful also to Wichitans who took interest in Tomo, buying books to benefit teen survivors of the Great East Japan Earthquake and Tsunami. I plan to include Tomo in future talks at bookstores, libraries, conferences and schools and know other contributors will do likewise. What a terrific avenue it gives us to spread the word about Tohoku! Interested readers are everywhere. So, do you have a story or photos to share about Tomo travels? Contact editor Holly Thompson: tomoanthology (at) gmail (dot) com. Thanks! The Asian Festival of Children's Content (AFCC) is a conference in Singapore with various tracks, workshops and seminars. This year, for the first time, a translation track was offered during the day of seminars, and the track of four seminars featured Tomo translator contributors Avery Fischer Udagawa and Alexander O. Smith, as well as editor Holly Thompson. In the individual talks and panel discussion, Tomo came up again and again--the nature of the project; the nitty-gritty aspects of translation; the search for and selection of stories; the correspondence between editor, translators and authors; the editing process, and publication and promotion. Here is translator Avery Fischer Udagawa talking at AFCC about the Boston launch of Tomo, to which author Sachiko Kashiwaba and daughter wore kimono with the obi tied in the same way as depicted in the story. Avery spoke of sharing these photos with students during school visits in Japan and Thailand, thereby making a local event travel the world. The AFCC translation panel also featured Harvey Thomlinson, publisher from Hong Kong, and Mohd Khair Ngadiron, CEO Institut Terjemahan & Buku Malaysia. It was great to see the translation seminars well attended by authors, translators, publishers and editors from around Asia, all eager to see more stories from Asia translated into English. And it's been so nice to see Tomo: Friendship Through Fiction being snapped up by attendees at the conference. Here are a few excited fans of the book, which is still helping to provide longterm support for teens in Tohoku. Thank you! One year after the 2011 Great East Japan earthquake, this collection brings teens closer to Japan and contributes to long-term relief efforts. 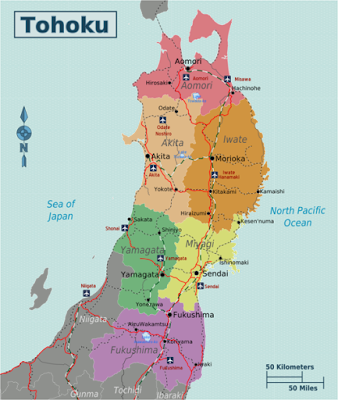 The Great East Japan Earthquake of March 11, 2011, resulted in a massive tsunami that caused the loss of life and livelihood for thousands of people in the northern Tohoku region of Japan. So many teens in Tohoku have lost parents, siblings, relatives, friends, homes, schools, and huge swaths of their cities, towns and villages. Their teen worlds have been upended. Tomo: Friendship Through Fiction was published on March 10, 2012. Proceeds from the sales of Tomo: Friendship Through Fiction will go to organizations that assist teens in the quake and tsunami hit areas. 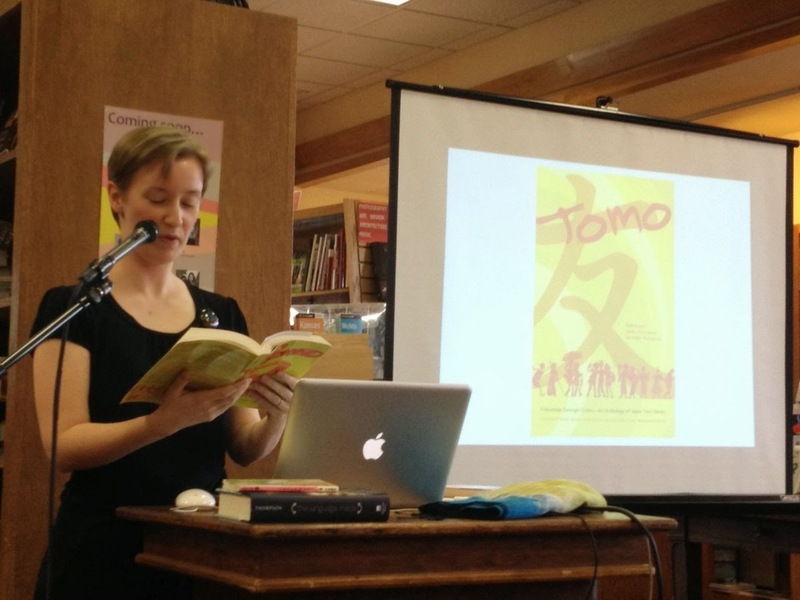 Tomo, which means friend in Japanese, aims to bring Japan stories to young adult readers worldwide, and in so doing, help support teens in Tohoku.